Discussion in 'iPhone and iPad Games' started by lagmacstudio, Aug 18, 2016. 1+2+2+2+2+1 = 6 Combines the atoms together to create molecules. 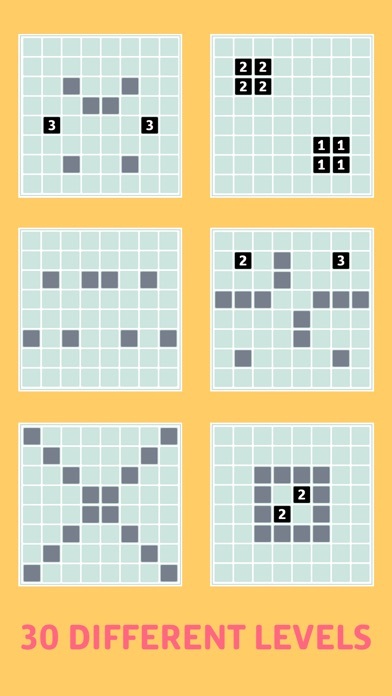 Molecular is a simple puzzle game, relaxing and immediate, with nice graphics and involving music. No annoying advertising, didn't buy anything in order to continue playing; pay once and play forever. And when you're tired you can also delete it; but I already know it won't be, because you'll love Molecular and won't be able to do without it. 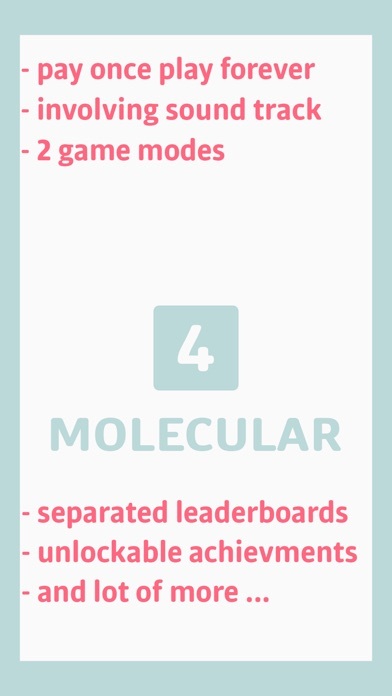 Two game modes: ***BEST SCORE *** -create ever larger molecules and tries to get as many points as you can. In this mode you can unlock 7 unique objectives. 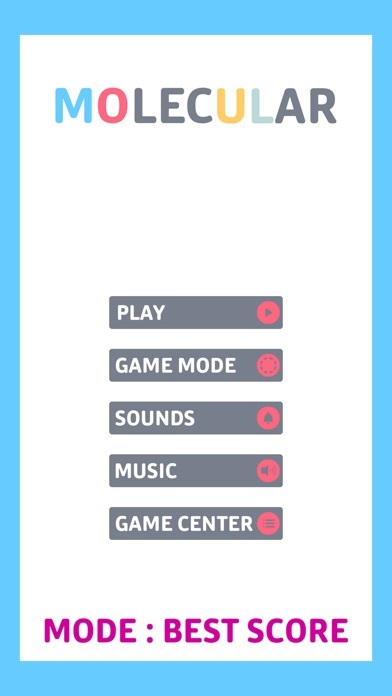 ***LEVEL UP *** -solve 30 amazing different levels; Features: - leaderboards for each game mode; - unlockable achievements in Best Score mode; - global combined leaderboard The rest find out for yourself. I have bought it because all promo codes was used. IMO the only thing missing is a tutorial. The update 1.0.1 has been approved by Apple an hour ago. This update does not include new levels or the tutorial. This is a small update to fix some bugs. 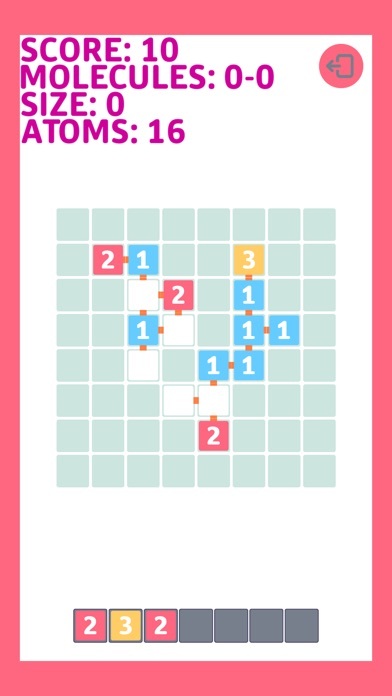 New levels and the tutorial will be available with a major update. I hate to be the bearer of bad news but the update for the quick-tap crash didn't fix it, at least for iPhone 6.